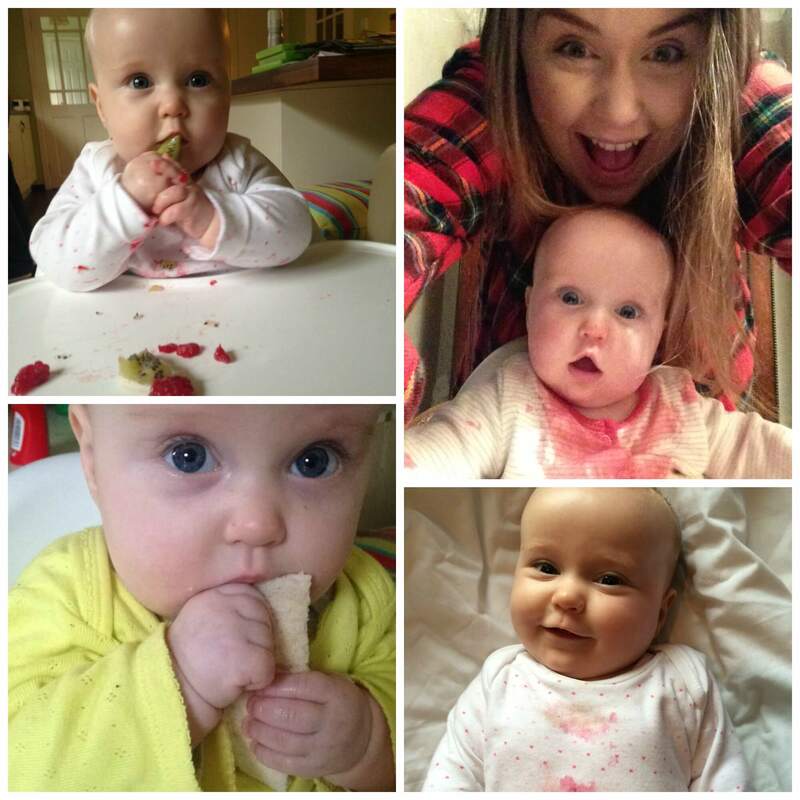 When Luisa was around 5 months old I started to get excited about weaning being just around the corner. I did a lot of reading and hoped to try a baby led approach. This honestly just seemed like the easiest way and the most natural fit for our family. We’ve always approached parenting in a relaxed way and let L set the pace. She has a routine but not through any form of training, she just started doing / needing the same things at roughly the same times each day. It has always seemed to me that the easiest and happiest way to live is to just respond to her cues and it’s been working well for us. Although I was really excited by the prospect of weaning at first when 6 months rolled around I became really nervous. Luisa still wasn’t particularly interested in food, she could sit up unaided, had great head control and co-ordination but she wasn’t grabbing the food out of her hands (oh for those simple days!) I was starting to worry about whether she’d choke, be allergic to something or if I’d be giving her a well-balanced diet. As you would have seen on instagram I started offering her finger foods like berries, pepper, broccoli and snacks like rice cakes and wafers. She always had a lot of fun making a mess and gummed whatever was put in front of her. She wasn’t in a routine of ‘eating’ regularly as we only really offered her something to eat when it was convenient. So never when she was tired, sick, teething or wearing an expensive outfit 😉 This meant that by the time Luisa was 7months old she’d really actually eaten very little. 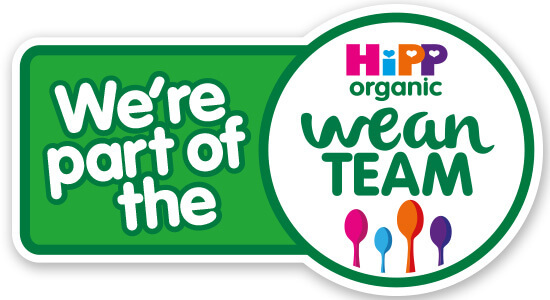 It was around this time I was in touch with HiPP Organic about becoming members of their Wean Team. I was really interested in the opportunity to get advice from their nutritionist and felt like I could learn a lot from them. 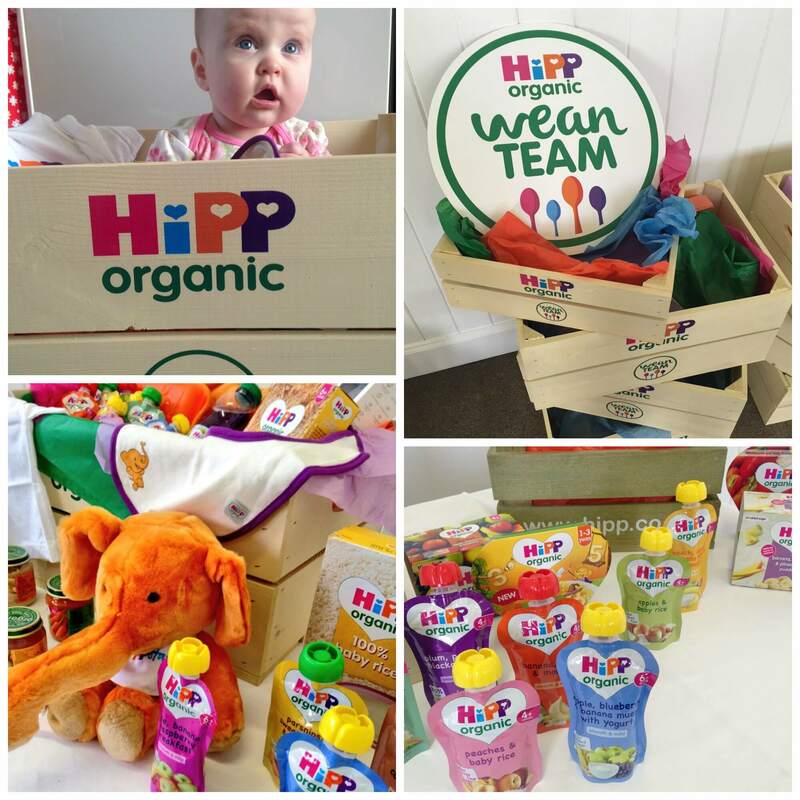 HiPP have launched the Wean Team as a year-long weaning programme for 10 bloggers and their little foodies. To kick things off we all headed to Birmingham to get acquainted and find out more about HiPP. I had a brilliant time meeting the other bloggers involved and learning more about what I could expect from Luisas weaning journey. Unfortunately she ended up being quite poorly which lead to the end of our day being stressful but thankfully we made it back to Belfast in one (soggy) piece! I was really surprised to learn that HiPP Organic have been around officially since 1932. The whole thing began in Germany where Joseph HiPP created a rusk after his wife was having difficulty nursing their twins. To this day it is still a family run business which I think is pretty impressive! HiPP have been extremely generous sending us loads of product to try & goodies for myself and Luisa. Currently she’s at the stage where she’s having something to ‘eat’ about twice a day. Sometimes its just some finger food to gum and sometimes we put on the welly boots and she’ll try a new jar or pouch. So far she really likes all the pasta and noodle options, even though at first she screwed her face up, but isn’t a big fan of anything with pear in. 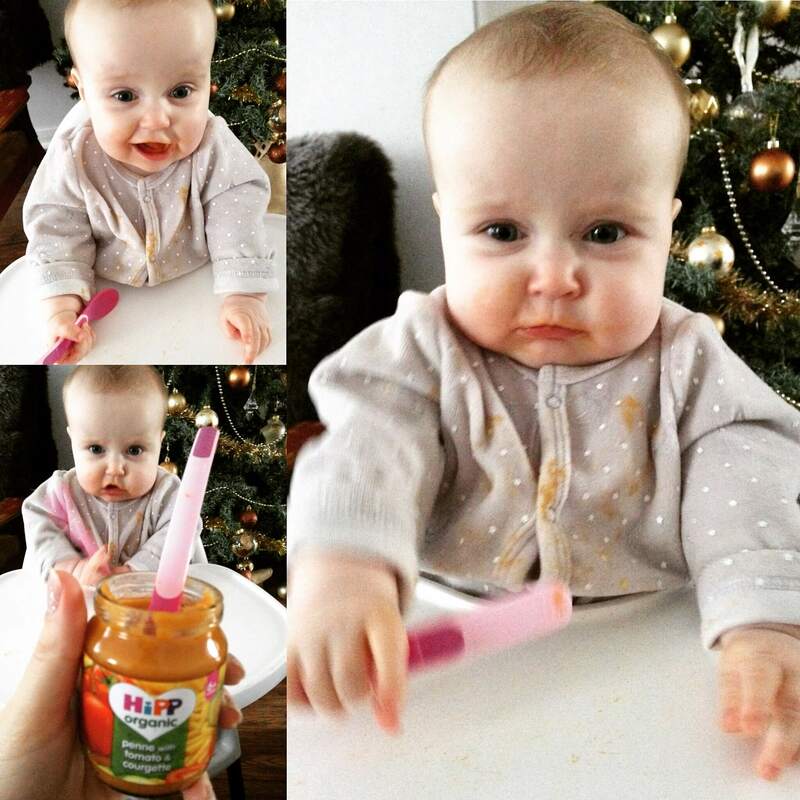 Thankfully there are over 150 different options in the HiPP range so I’m sure she’ll find plenty more to enjoy. One thing I wasn’t at all surprised about is that Miss independent doesn’t really tolerate being fed – which we’re fine with. I generally offer her some loaded spoons and put some food onto her high chair and I’ve been amazed by how quickly she is learning to feed herself. 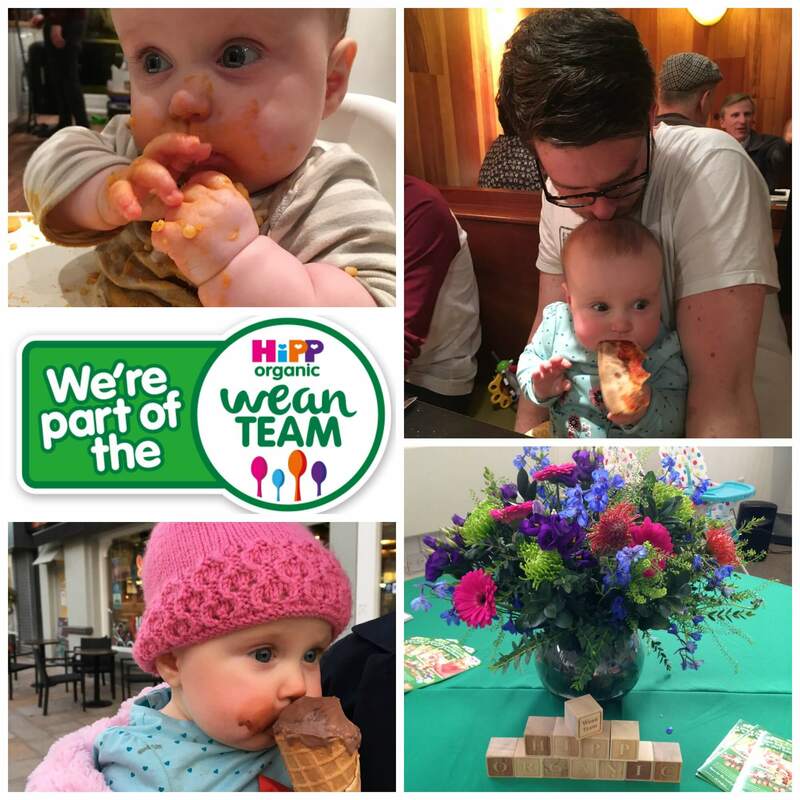 I’ll be checking in again soon to share more about the Wean Team and Luisas personalised plan from the lovely Helen – HiPP’s nutritionist. In the mean time if you have any tips for getting the orange stains out of her clothes please share! HOW EXCITING! It’s really cool to be able to be part of a wean team and organic is even better. I remember our weaning days with my daughter and it was a lovely time in my life. weaning is such a messy business and I remember it all well. Mine would tackle me for the spoon and start helping themselves! It has been a while since my children were weaned, but I remember the orange stains oh so well. They are a nightmare to wash out, aren’t they? The HiPP organic range looks great! She’s such a gorgeous little girl and looks so happy as well, you’re obviously doing a great job! This makes me want to have kids even more when i’m older haha!